Before starting Coolsculpting treatment, the Epilium & Skin specialist will use a pencil to mark the areas of your body that are to be treated. Next, a film of gel is applied to the areas. This protects the skin tissue and is a good base for the cup-shaped suction hand piece that draws up the fat cells. The Coolsculpting treatment procedure can now begin. Whilst the Coolsculpting treatment is not painful, when the suction unit is activated, you will feel a slight pulling sensation lasting between 5 to 10 minutes. You may feel a deep pulling, tugging and pinching sensation. This is an unusual sensation and may be a little uncomfortable so try your best to relax and focus on your breathing. After a few minutes, the cold sensation begins to numb the area under the suction cup. As the cooling process continues, you may experience a tingling, slight stinging sensation; any aches and cramping are quite normal and will only last 5 to 10 minutes. Normally, you will be lying down during the treatment, so to help you relax you can read a book or watch a movie. The session will last for one hour per body area treated. 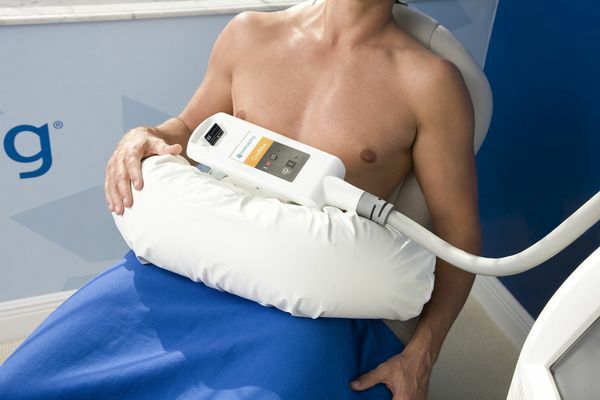 What happen after Coolsculpting treatment? Following the suction and cooling treatment, the specialist will perform a ‘draining massage’. The area is sensitive and understandably, some people will find this two minutes massage unpleasant or slightly painful. 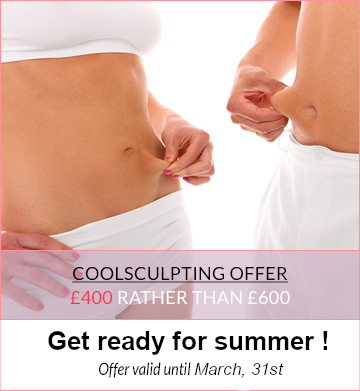 The massage causes the skin to warm and breakdown the now crystallised fat cells. Although it may feel uncomfortable, it has been proven that it significantly improve the results. A few minutes to a few hours after the session, the treated area will appear red, with some bruising or swelling. You may also experience a numb sensation. On rare occasions, the skin may appear to whiten. During the 15 days following the treatment, you may feel some numbness, cramp or pain. Some patients have tingling and numbness of the treated area. All these medical symptoms will gradually disappear in the weeks following the treatment. The area may stay numb for up to 4 weeks following the procedure. All these symptoms are quite normal. Over the following 3 months, you will see the benefits develop. The decrease in the fatty layer is progressive and you will notice the change occurring over 3 months as the body naturally eliminates the fat cells from the treated area. If you have persistent discomfort, please contact Epilium & Skin.